Everyone deserves to feel comfortable when visiting the dentist. For over 55 years, the Dental Clinic of Lincoln Park has provided gentle dentistry for families throughout the Downriver area. We offer comprehensive dentistry tailored to meet the unique needs of all of our patients. From child-friendly dental cleanings to advanced implant dentistry for adults, Lincoln Park dentists Dr. Katie Shackleford and Dr. Kirsten Galayda as well as their entire team, are committed to providing patients of all ages with individualized dental care. At The Dental Clinic, we know that every patient has their own distinctive needs and expectations. We are dedicated to helping our patients achieve their dental goals while ensuring their smile’s health and functionality for years to come. The service at our Lincoln Park dental practice begins with ensuring your total oral health. Through our comprehensive preventive treatments such as routine cleanings for children and adults, periodontal charting, oral cancer screenings, and radiographs, Drs. Shackleford and Galayda are able to protect your smile from decay and other potential damage. In addition to comprehensive dental prevention, The Dental Clinic offers a number of advanced cosmetic and restorative treatment options. At our Lincoln Park dental practice, we value our patients as part of our extended family. From your first visit to your annual cleanings, our dental team is committed to creating an environment where patients feel comfortable. The experience our dentists possess and quality treatments that they provide have instilled confidence in our patients by knowing the health of their smile is in capable hands. By listening to each patients' concerns and offering solutions and options to meet each individual’s needs, our team has been able to develop lasting relationships with every patient that visits The Dental Clinic. Contact our Lincoln Park Dentists Today! Whether you seek a dental cleaning or are considering advanced cosmetic treatments, The Dental Clinic is here to provide you and your family with lasting dental solutions. 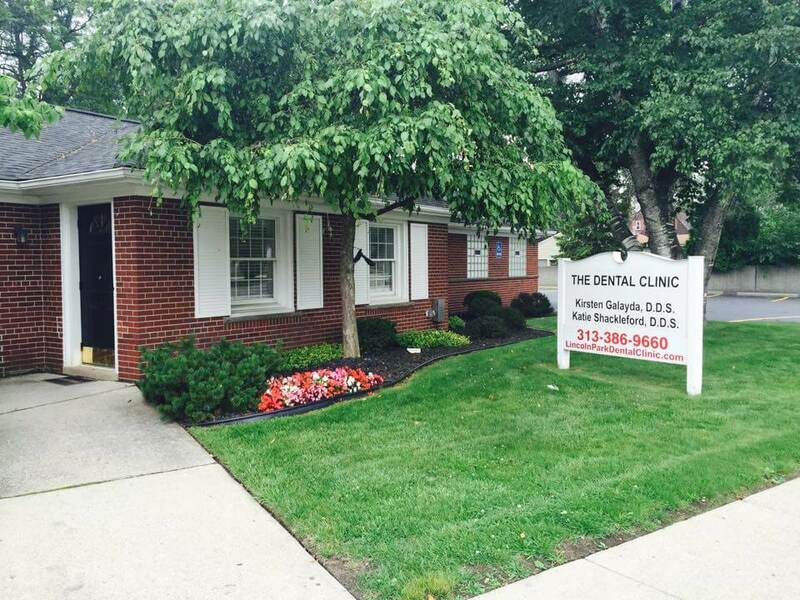 Located on the corner of Fort Park and Champaign, The Dental Clinic is accepting new patients across Lincoln Park and from the neighboring Downriver communities including Allen Park and Southgate. We also welcome families from Taylor and Detroit as well. For more information about our dental services or to schedule your appointment, please contact Dr. Shackleford and Dr. Galayda in Lincoln Park today! Ask About Our Free Cosmetic Consultation - Just Mention Our Website!